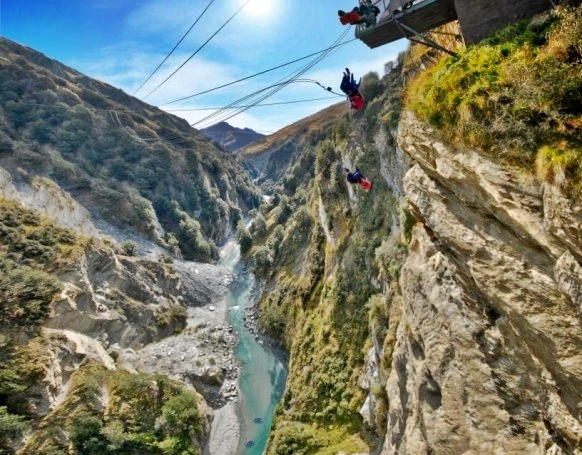 Launching yourself from 109 metres into a canyon is a scary move. With over 70 different solo and tandem jumpstyles we can expertly manage the scariness for everyone – from knitting nana’s to adrenalin junkies! All these different styles are made possible by the unique combination of our chest and seat safety harness, cliff top platform, special release mechanism and a whole lot of product sampling! !